ASAP Bail Bonds Weld County is the best and only choice to make when you need to post bail at the Weld County Jail. Our agents continually break the mold in the industry and set higher standards for customer care. We assign each customer a personal bail agent who operates 24/7 including holidays. ASAP Bail Bonds can give you the lowest rate on your bail bond alongside a transparent process. We promise to answer any and all questions so call us day or night. Our ASAP Bail Bonds agents look forward to making connections with our customers and can get your friend or family member released sooner than any other company. Give us a call today to get the process started. 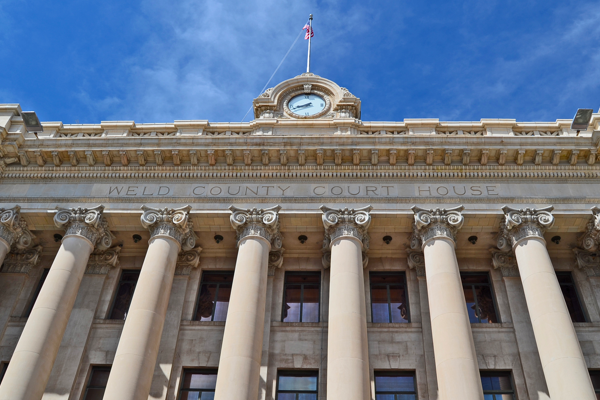 Weld County is known for its conservative stance when it comes to assigning bail bonds. If you find yourself in need of a bail bondsman to discharge your loved one, call ASAP Bail Bonds Weld County. We are stationed directly across from the Weld County Courthouse and minutes away from the Weld County jail. Combined with our expert knowledge and years of experience, this means we can make the release process fast and simple. Our bail agents guide you through each and every step and can post all bail bonds. ASAP Bail Bonds prides itself on problem solving for customers and as a result we can work with any and all charges no matter the size. The bail bond process might seem confusing and intimidating, but with ASAP Bail Bonds Weld County it is anything but. We offer premium service including day and night access to a personal bail bondsman. They know every detail of your case and can clarify all requirements and timelines. This means you never waste time, attention or money when you work with us. As Weld County’s largest bail bond producer, we also can offer the lowest rates in the state. This is combined with our ability to setup payment plans and collateral collection as well. This payment flexibility is something we specialize in and a service no other company can match. Visiting Hours: Please call the Weld County jail for information. Unlike most other bail bond agencies, our investment is in reuniting you with your loved one rather than just receiving a payment. ASAP Bail Bonds is engaged in the community and we care about the people you care about. We strive to provide 100% transparency to our customers alongside bail services that are friendly, reliable and protected. We embody this in our 24/7 operation, personal bail agent assignment and our dedication to offering low rates and financing options. ASAP Bail Bonds Weld County is the only choice to make when you need to post bail. Call us today to get your bail bond started!